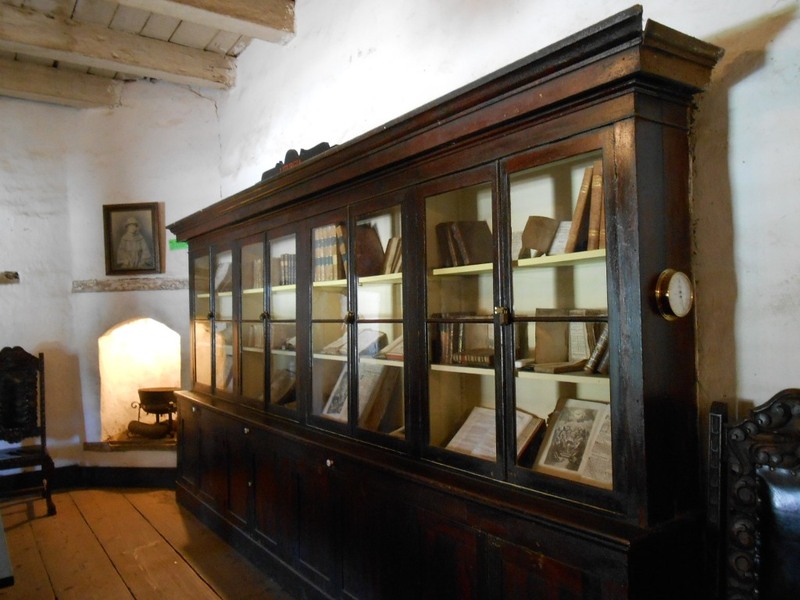 La Sala is one of the rooms of the Mission San Juan Bautista Museum, also known as the Room of Four Chimneys (there was a fireplace in each corner), the Reading Room or the Padres’ living room. 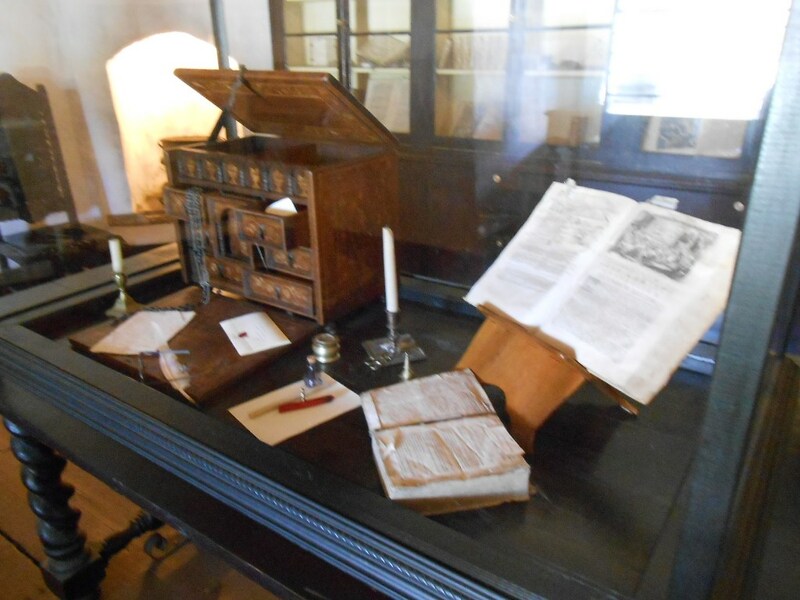 It currently exhibits Mission era manuscripts and books, which were a lovely unexpected bonus. Very beautiful, and I can only imagine how precious they were at the time. The hymnal in particular was quite impressive, especially in size. I don’t very often see books that are measured in feet! There were other religious texts as well as secular literature. 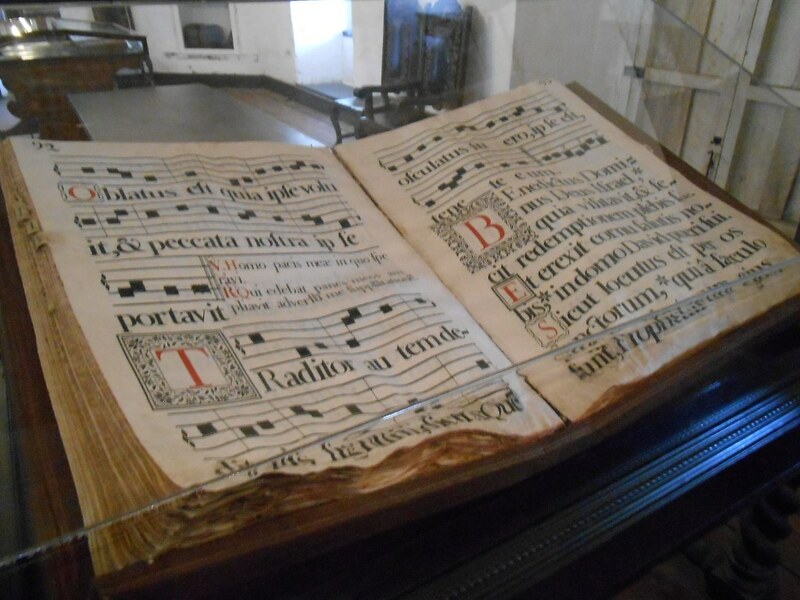 Padre Esteban Tapis, a one time Presidente of the Missions and founder of Mission Santa Ines retired to San Juan Bautista and followed his interest and talent in musical pursuits. Among the collection are two of his handwritten choir books! 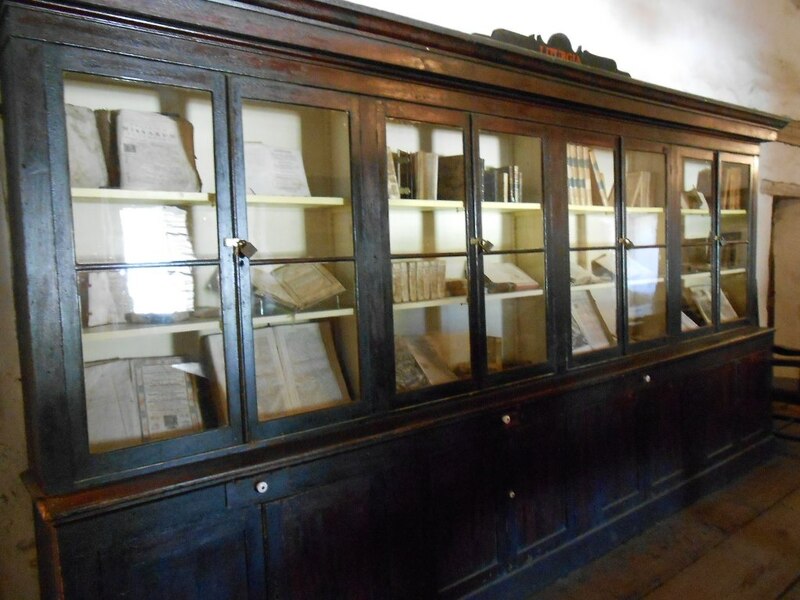 This entry was posted in books, just going to the mission and tagged books, California Missions. Bookmark the permalink.